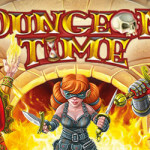 Dungeon Time, the real-time, cooperative card game successfully funded with a Kickstarter campaign in June 2016, is going to release in January, as soon as the fulfillment of the rewards to the Kickstarter backers will be completed. 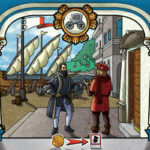 In the meantime, we bring you an interview with its author, the Italian game designer Carlo A. Rossi. Born in 1968, Carlo has published about 25 games, mostly in Germany, but he feels much more a gamer rather than a designer. 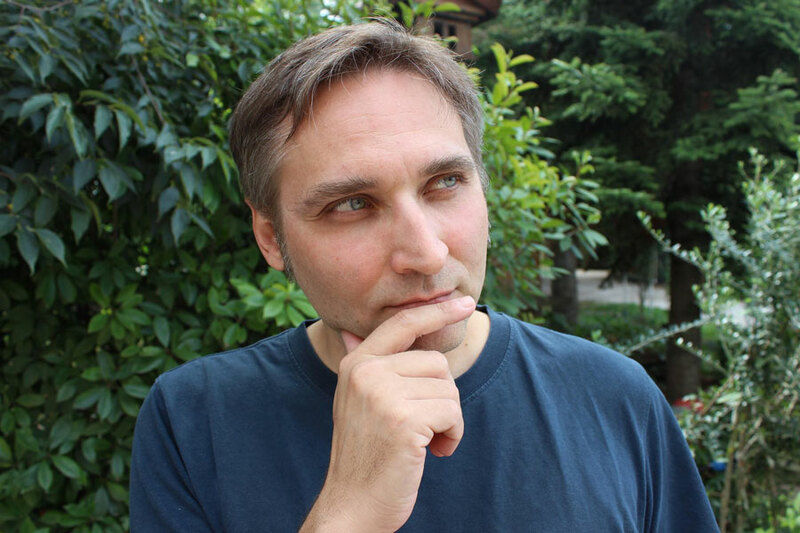 As a designer, he is mostly focused on party games, games for children and light family games, such as Alchemist, Hab & Gut, Ab in die tonne, Leg Los and Zoowaboo. Recently, he became a fan of illustrated books for children and has started collecting them - maybe someday he’ll try to create something in that field, too! The game designer Carlo Rossi, author of the upcoming Dungeon Time. 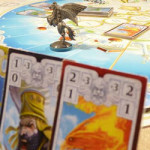 Ares Games (Ares): When did you start playing board games? What were your first favorite games? CR: I’ve always tried to figure out the mechanisms behind good games. After a while, I thought to invent my own, and I started filling tons of paper with ideas. Finally, I decided to make my very first design in 2002, a game called Magma, which I submitted to Premio Archimede, an international contest for unpublished games organized by Studiogiochi. 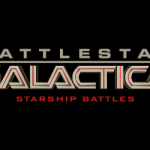 Well, I arrived first over nearly 100 submissions – yes: with the very first game I invented. 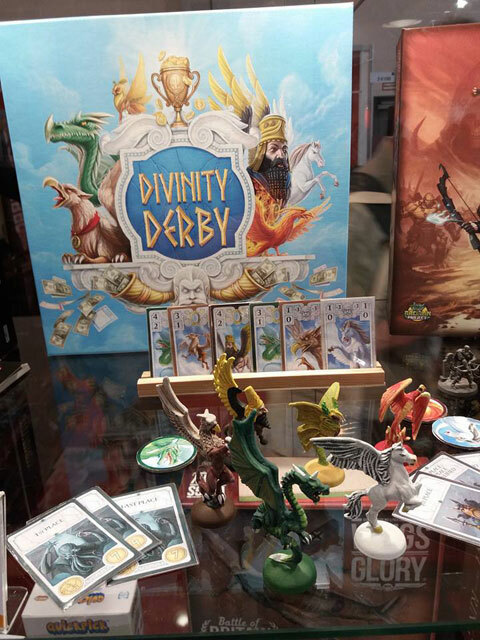 One year later I submitted two games for the contest organized by Lucca Games (the biggest game and comics fair in Italy) and - believe it or not - I won again, with my game Apprendisti Stregoni, and again, as the runner up, with my game Scienziati nello Spazio. I really couldn’t ignore such a promising start, and I told myself I could take a chance and try a career in the gaming world as a designer. 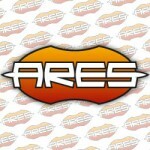 Ares: Are you a full-time game designer, or do you create your games as a hobby/part time job? CR: Game design is still a part time job – I work as product manager in a telecommunication company; but I wouldn't disdain to make it a living. The gaming world is very beautiful and populated by very nice people; sometimes I think I’m continuing to design games just to have more chances to meet such people. Der Schatz von Castellina, the author's favorite: an elegant and catchy game. Ares: Can you explain this a little better? How does your creative process work? CR: It’s very hard to explain; very often, it’s when something very strange or original catches my attention or gives me emotions (it could be in any occasion, like, while reading books or watching a movie or talking with my friends, etc.) I always ask myself how I can translate that emotion into a game. For instance, Ab in die Tonne came from a very hilarious episode of "The Simpsons", Im Grosse Zauberwald came from a visit to the Holocaust-Mahnmal in Berlin, Der Schatz von Castellina from the idea of a giant pulling out snot from his nose and so on. It also happens that I start with mechanics: in this case, often good games themselves are a very strong source of inspiration. A (curious?) thing I’ve noticed is that I tend to be more creative when I’m doing boring things at work… I guess it’s a way for me to feel that I’m not wasting time. CR: Unfortunately, I don't play as much as I wish to, because I'd play every day. My favorite games are children games but strictly played with adults only; this is the most fun experience a gamer can have. CR: Absolutely not! Since I have to playtest my games a lot, that part becomes quite boring at the end of the process; I definitely don't feel the need to play them again after their release… and there are so many other good games to try out there! 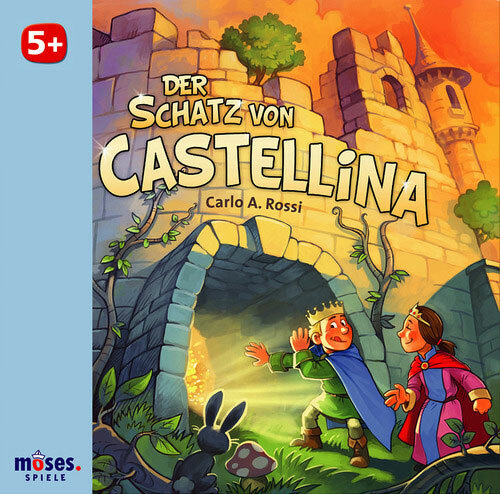 CR: The game I care the most for is Der Schatz von Castellina; mainly because I think I'll never be able again to invent such an elegant and catchy game based on one rule alone. Also because publishing it was very hard. It’s one of the games which got the most rejections by publishers; I'm very grateful to Moses for believing in it. 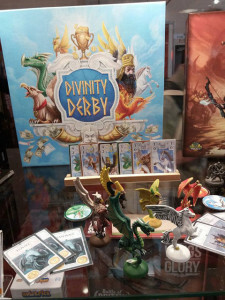 Divinity Derby, to be published by Ares in 2017. 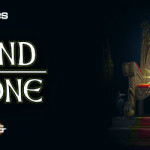 Ares: Are you currently working on more new games? 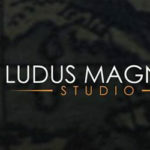 Can you talk about any upcoming project(s)? CR: I'm constantly working on new projects, but I can't reveal that much, sorry. 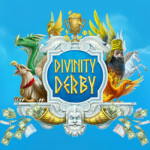 However, I'm very proud to say that the next game to see the shelves will be a game by Ares, called "Divinity Derby", but unfortunately I don’t know the release date yet! I'm very curious to see the reaction of the gaming community on this one, since it is built upon the "shared cardholders" mechanism I first introduced several years ago in Hab & Gut - definitely my most praised game by gamers among the many I published so far. CR: Play, play, play! 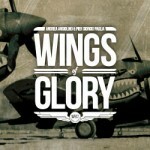 - worst case is, you won't become a game designer, but you surely had a great time!